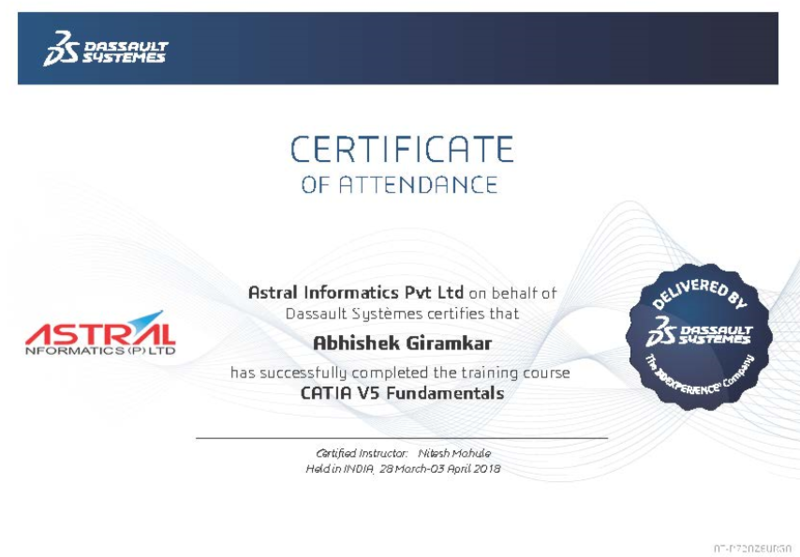 Announcing CATIA Training with Dassault Systems Authorized Certifications in association with Astral Informatics. CATIA stands for Computer Aided Three dimensional Interactive Application. It is a multi- platform CAD/CAM software suite written in C++ programming language. It is widely used CAD/CAM software and is considered as the most powerful and effective knowledge based software. It was created and developed by Dassault Systems (France) . The applications of CATIA is wide ranging from industries like Aerospace, Automotive, Architecture to Consumer goods, Ship building, Electronics, Medical and Manufacturing. Since CATIA is PLM (Product Lifecycle Management) software containing all the tools likeCAD, CAM, CAE. Therefore, applications of CATIA training are found in all industries and companies. CATIA is used by NASA to design various space equipment. Through the systems engineering approach, CATIA can provide solutions to complex models and innovative product. 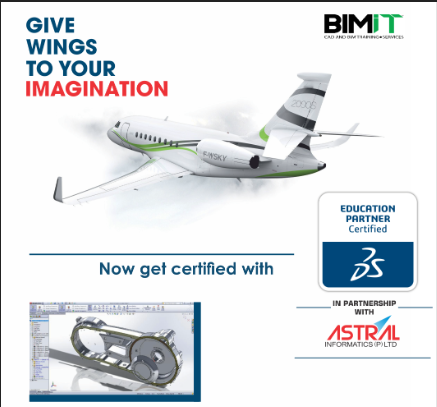 CATIA is used as the Global standard for the aircraft design as almost 80% of the aircraft companies use CATIA in designing the aircraft. 60% of the automotive companies implement the use of CATIA in designing the innovative components of the car. Around 60-70% of the helicopter/civilian/commercial plane companies use CATIA. It is used by designers, architects, manufacturing entities and industrial engineers, so the job opportunities are immense. 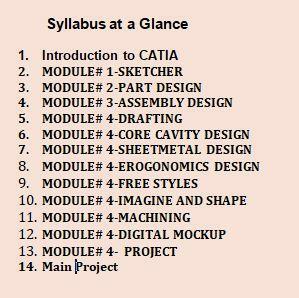 All these facts show that students who will join CATIA Training will have more stable and rewarding career. • Highly supportive trainers who are experts in the field. • Labs are well equipped with Technological tools. • Advanced Technology support from Astral Informatics (P) Ltd, Nagpur. • Excellent interactions among the students regarding the subject. • Hands-on learning is given more emphasis instead of theoretical learning. • Highly structured course contents. Kaloor P. O, Ernakulam. 682017. © 2014 - 2015 BIMIT. All Rights Reserved.